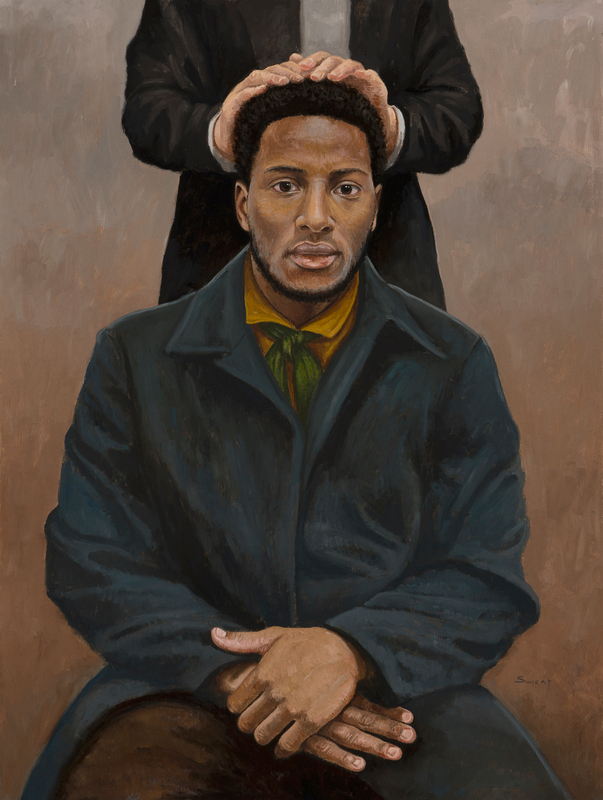 Q. Walker Lewis was one of the few black men ordained to the priesthood during Joseph Smith’s lifetime prior to the 1852 ban of black Africans from LDS priesthood offices and temple ordinances. Walker Lewis was an abolitionist who joined the Church in Massachusetts and was ordained to the priesthood in 1843 by William Smith or Parley P Pratt. Brigham Young called Walker Lewis “one of the best elders.” To my knowledge there are no known images of Walker Lewis. I don’t pretend to know what he looked like (there are no existing) but I wanted to put a face to the name to honor him and help others better understand LDS history. Some are unaware of those of African ancestry who were ordained to priesthood offices in early Church history. I painted him looking straight at the viewer to cause the viewer to engage with him and not know nor forget him. Click on a link below to order your own print of this unique and important painting. Each print is a gallery quality, giclée fine art print reproduction, printed on professional printers using archival art paper/canvas and ink. Giclée prints allow artists to have their paintings reproduced in accurate, rich colors that will not fade or yellow for up to 150 years. *A “MATTE PAPER” print is a non-glossy, thick paper that holds rich color and contrasts. These prints are ideal for framing behind glass. *A “MOUNTED CANVAS” print is an acid-free, heavyweight cotton canvas with a semi-gloss finish. It is mounted on a ¼” board to allow it to be framed without glass. *A “WRAPPED CANVAS” print is an acid-free, heavyweight cotton canvas with a semi-gloss finish. It is wrapped around a 2” frame, and comes ready to be hung on a wall without the need for framing.